Podcast Episode 2: How Does a Customer Prepare to Negotiate the Best Car Deal? In this episode of the Metro Nissan of Redlands Podcast, JC sat down with GM, controller, David Reynolds. It was a great conversation and JC asked questions that many GM's wouldn't answer: How Does a Customer Prepare to Negotiate the Best Car Deal? Dave did not hold back, letting consumers know what to look for and where to find that info. Check it out and take some notes. Happy Thursday. JC here with Metro Nissan Redlands monthly podcast. Excited to be here, man. It's a scorcher today. It's about 100 and, I don't know, 8. First of all, anything over 100 is just hot, man. So I'm sitting here with Mr. David Reynolds, general manager, controller here at Metro Nissan Redlands. Say hi, Dave. And we're excited, man. Again, once again, right, one of the only dealers that I know of that is willing to peel back the onions, man, peel back the onions and the layers that typically exist at a dealership and really kind of open the doors to kind of where the industry is going, man. So, Dave, I appreciate your time, man. Thanks for being here today. So today what I want to talk about is three main topics just because I think technology has had a major impact in the automotive industry. I think you would agree with that, right? All right. So let's talk about first and foremost, right? So when a consumer is buying a car, right? So as a automotive professional, right? Let's just talk about ultimate tips on how to buy a car, right? So what are the things that a consumer needs to do in order to kind of start that car buying process, right? I know they jump on Google and they can do some of those things, and so I know that deal is obviously there. But from a professional like you, what is the information that a customer needs to start gathering to arm themselves correctly in order to start negotiating on that car deal? You mean it's expensive to live in California? Shocker. It's very, very expensive, yes. For all of us. And knowing what those fees look like is important, too, because generally, I tell everyone, depending on what you're buying, if you're buying a $25,000 car you're looking at generally about $2,500 in tax, title, license, and doc fees at the minimum. So just knowing what all those things look like and then if the vehicle is going to be able to fit in your budget. Having a general idea of how much you're looking to pay, whether you're writing a check, or whether you're financing it with us or financing it at an outside credit union. Just knowing some of that basic information before you come in is always handy. And then this is what we do for a living, too, so we've got a lot of customers that would like to know more information, even before they end up buying a car. So we help customers in that part of the process as well before they actually pull the trigger and buy the vehicle. A lot of customers come down to the dealership, they're in the fact-finding stage if you will, and our sales consultants, as well as our managers, can give customers options and give them more information to make a better decision for themselves and their family. Sure. And I think on top of that, too, is I think there's something to be said about-- it's so much easier, in my opinion, nowadays to sell a car on the dealer side, right? Because here is the reality, right, Google's changed the entire world, right? That information at your fingertips at any point in time, in my opinion, at least for the good dealers, like this one and a few others, right, so you guys have really kind of-- instead of fighting that process, you guys have really nurtured that process, right? Look, man, you have your cell phone, you have the info, so if you already have all the info, then at that point as a dealer really what you concentrate on is just the experience and the service, right? There's no point in hiding anything at that point. Yeah, 100%. Obviously, from the last podcast we talked about technology and that kind of stuff, and when you embrace all these wonderful things, and the Internet, and all that good stuff, it actually takes a lot of the fact-finding information phase out of the process and then it generally gets the customer to us and then it lets us do what we do best, which is showcase our vehicles and provide a top-notch service when you come down to purchase a vehicle. Yeah. Sure. No doubt. So let's talk about financing for a second. Only from personal experience, by the way, right? So I'm getting hit in a million different ways, right, right now by third-party applications, right? I'll name one in particular, right? So they just happen to be very aggressive right now in marketplace, right? So I get hit by this application called Fair, right, F-A-I-R, it apparently seems to be some sort of automotive financing tool, mobile tool of some sort, right? So I did a little bit of research. So it's almost like a third-party kind of leasing, purchasing type service, right, so talk to me a little bit about how that's affected your business. Or do you know anything about that application? Have you even heard of that application? And true or not true, right? One of the main things I'm getting from dealers right now when it comes to that particular application, right? So obviously, we're talking about Fair, but getting approved on the app is one thing. Being able to use that approval at the actual dealer seems to be a completely different scenario, right? Well, the idea is really, really well. And it's a good, good idea. And we've worked with a lot of nontraditional banks to try to circumvent the process of buying a car and obtaining financing. We, ourselves, have tried to get involved in that. The problem with that whole business model is you can't physically get a check from these types of lenders. And if we're being honest, thoroughly honest with everything, dealerships are very, very aggressive. We have multiple different lenders, tons and tons of lenders that we use. They have to compete with us, other dealerships, for our business, and we pass those savings off to the customers. So when it comes time to getting the best rate and getting the best financing for your vehicle, I can't imagine anybody that could do it any better than what we do. We go directly to the banks, we negotiate the loans for you, and we generally get our customers the best rates that are available on the market. This is what we do for a living. And it's hard for me to see an application do any better than we can because we're live, human people that are in there. We go in there, and you guys want to get 4.9, 5.9 interest rates, and we're the ones who are working hard for you and getting the rate done for you at the requested amount. So it's a good thing, and also it could be a bad thing, too, because I don't physically see how-- I mean, they can provide financing, but they don't work directly with dealers, so it's kind of like a private type deal. --but when you're talking about a 40- or 50-thousand-dollar car loan, which is what this guy was trying to buy, that's a huge difference. Yeah. And that's another thing, too, with these types of outside financing is they just-- it's not as simple as the general public thinks. They go through all these hoops and bounds, and also there might be stipulations that are involved, and there's algorithms that are built into these formulas that drive the rates and stuff like that. But the bottom line is we do this for a living all day long. And when push comes to shove, and it comes down to the negotiation process, we're the ones who are grinding the bank for you and trying to get you the rate that you deserve, so. Sure. And a lot of times, giving you a rate you normally, probably wouldn't qualify for sometimes. And I think that happens more than people think, actually. Absolutely. Happens all the time. Yeah. Yeah. Yeah. I definitely believe that. All right. So let's talk about car lineups, right? So Nissan over the years has done a good job of positioning themselves in market, right? So typically, you're going to buy a Nissan, a lot of times you end up staying with Nissan, right? It's almost like a little cult following, right? So out of the entire model lineup right now, what would you say is the top-selling vehicle right now? Now Ford just announced, by the way, that they're literally cutting their entire model lineup on the vehicle part. The only car they're going to make is the Mustang and a hybrid but other than that, that is it. Yeah. Well, we still see a lot of car sales, if you will. It's mostly because of our product line. We have a very popular product that are very, very fuel efficient. But the number one selling vehicle right now for Nissan is the Rogue. And it's kind of showed you the trend of the market, the way it's been the last couple of years, and we keep trending towards SUVs. So the Rogue and now we have the sister, which is the Rogue Sport, which is just a smaller model of the Rogue. And we are spending a lot of money right now, in terms of manufacture, into technology with the SUV market. That's where a lot of the money, the R&D money, is being spent. So it looks like it's here to stay and, obviously, we embrace it. Every different market is, obviously, different. Some markets are more car-heavy versus SUV and truck. In Southern California, we get kind of a mixed bag of everything, but as far as the segment, definitely the SUVs is the popular segment and Rogue leading the way being one of the most popular selling SUVs in the United States. And that's what I mean. --SUVs got 13, 14 miles to the gallon. There's a lot of SUVs in the high 20s, low 30s on MPGs, and that's what's helped shift the market in the last couple years. Not to mention they look really good, too. Yeah. Yeah. So I totally get that. Very stylish inside and out. Yeah. For sure. For sure. Yeah. So totally got that. So how do you maintain that Rogue, man? So I know sometimes there's a notion in the consumer world that they can service that car cheaper at their local grease monkey or Walmart. I don't happen to believe that's the case anymore, personally, but that's just my personal opinion. But talk to me a little bit about servicing the vehicle, right? I think over the past decade, consumers are more involved in servicing their vehicles in the new car franchise versus going to your local grease monkey or Jiffy Lube, if you will. I think consumers used to more so go to those places because the perception was the service was cheaper, and it was. But I think it's at least the same price to service your vehicle at a new car franchise versus servicing it at a third-party grease monkey, Jiffy Lube, service express, something like that. I mean, we're very, extremely competitive. We do market analysis every 30 days. We like to see our local competitors. We don't want a customer to have to go and try to save $15 by going to their local grease monkey or service express versus coming to the dealership. That way we can make sure we're very thorough in the maintenance of your vehicle. It's the second most important thing, yeah. I mean, literally, you can't get to work if-- you know what I mean? It's that simple, right? Everything hinges on it. Yeah. Yeah. And you can look at it, too. One of the things we like to look at is a lot of these oil change and service places, they have mechanics there that it's more of a lower-level mechanic that his specialty is just changing oil or servicing tires and brakes, and these guys don't have the specialty of servicing Nissan products. Our technicians, they go to school for multiple years of just learning all the different fundamentals of working on vehicles and servicing, and then when they get here, their training continues on through their career on predominantly just Nissan products. So you're talking about a technician when he goes to work on your vehicle, this is a guy that has received a lot of education on that specific vehicle and knows that vehicle inside and out. And that's the difference between your local service express and a Nissan franchise. Sure. No doubt. And I think what's even more important than that is the warranty that they carry behind that, right? When you come to a Nissan dealer, and you bring your Nissan Rogue for service, if something happens to not have been done correctly, the service manager and the service department is going to come in and make sure it gets done, and it gets fixed, simple as that. You know what I mean? So there'll be no finger pointing or like, "Hey, it was there before," you know what I mean? That typically doesn't exist in the dealer world. Yeah. Another thing, too, in the new car franchise is we have a quality inspection that's done after the vehicle is-- a QC department, if you will. That's after you've done your service. We make sure that everything was done right, and the car is in 100% working condition, and we inspect our own work. It's part of our process. No car goes uninspected after the work has been performed. Sure. For sure. Well, listen, that is all the time we have for today. I appreciate your time. More than anything, I appreciate your honesty, man. I know this is different, right? --pleasure and I definitely enjoy having these discussions. Yeah. 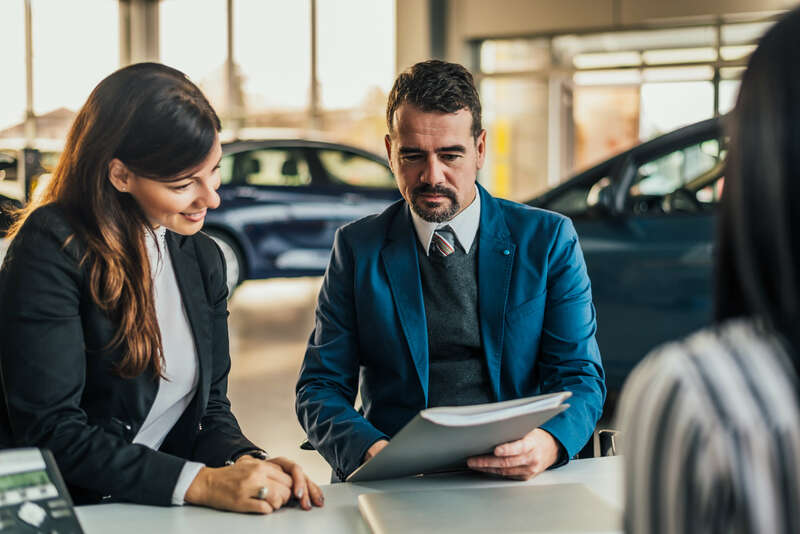 The bottom line is we want all the customers out there to know and understand how a dealership works, and they could have a better understanding of the process. Any information that we can provide for them, I think, makes the whole transaction easier for everyone involved. Yeah. Yeah, it's something to be said when the transaction has less friction at the end of the day, right? I mean, at the end of the day I think that's what a dealer is looking for and, ultimately, obviously, that's what the consumer is looking for. Anyways, with that being said, we appreciate anyone listening to the podcast. Thanks for your time. Like I said, I know it's a new movement. I know that most dealers aren't comfortable. I am happy to report that Metro Nissan of Redlands is more than comfortable to peel back the layers, man, and really start to be transparent with consumers. So, Dave, once again, we appreciate your time today, man. You got it. Thanks, JC. We appreciate it. Thanks so much. And guys, have a blessed day. Thanks..